Are These Google and LG’s Upcoming Android Wear 2.0 Watches? Earlier this month, info spread across the web, detailing a supposed partnership between LG and Google to create two flagship Android Wear 2.0 smartwatches. 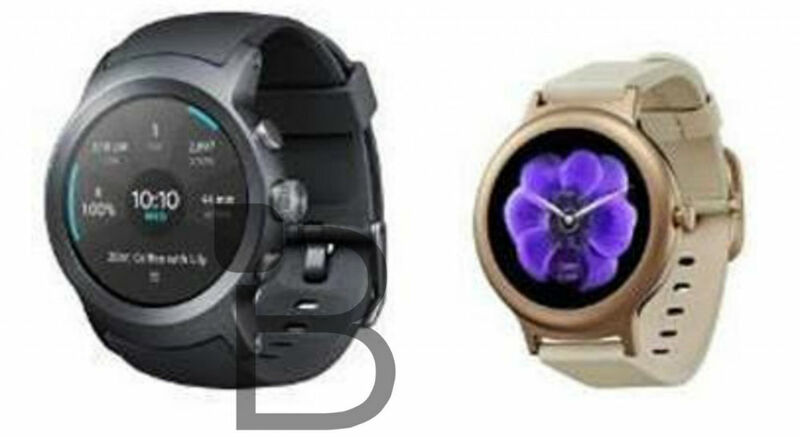 Known as the Watch Sport and Watch Style, we apparently have an actual rendered picture of the watches now, still rumored to be unveiled at an event on February 9 alongside the official release of Android Wear 2.0. As you may see in the image below, these watches look very similar to a previous render that was floating around. On the left is the supposed Watch Sport, while the Watch Style is on the right. Other rumored details include a few specs, with the Watch Sport reported to ship with a 1.38″ (480 x 480) round display, 430mAh battery, plus 768MB. On the other wrist, the Watch Style is said to feature a 1.2″ (360 x 360) round display, 240mAh battery, 512MB of RAM. Looking over the images myself, I’m not overly excited. They look like basic Android Wear devices to me, so hopefully Android Wear 2.0, with its possible inclusion of Google Assistant, really brings something new to the table. Fingers crossed. If you glance at a calendar, you’ll notice that February 9 is right around the corner. Are you ready for the rebirth of Android Wear?